Who else is happy it's spring? 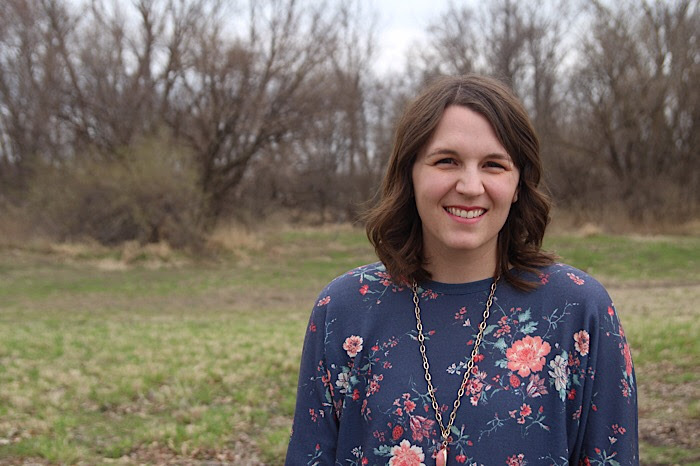 Things are greening up around here, the kids are playing outside, and I don't have to bundle up every time I go outside. 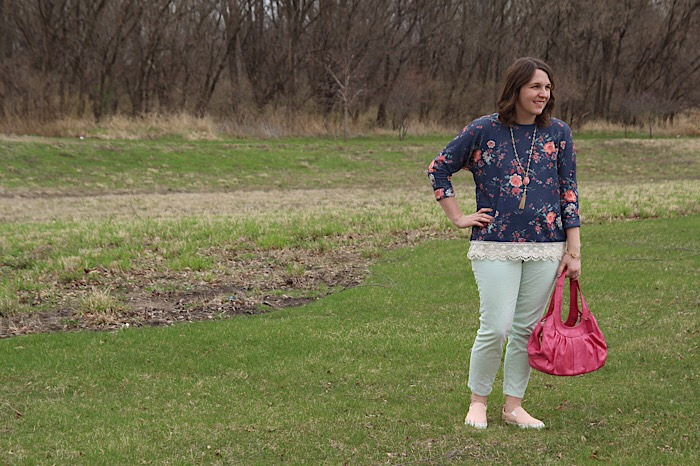 Today Della, Nicole, Tif, and I are all sharing our spring pastel looks! This top was an unexpected find when I was shopping for my birthday back in February. 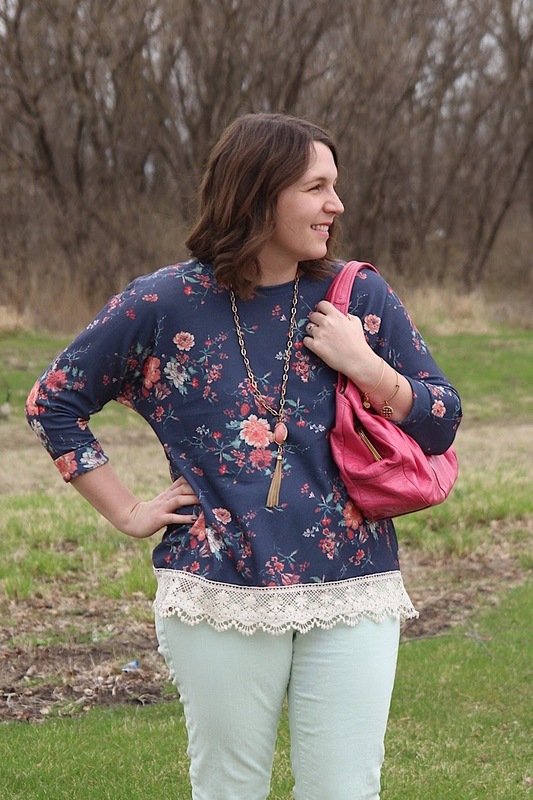 I love the back detail and it is just perfect for spring transition weather. It isn't available online at the shop I found it, but I was able to hunt it down for you! 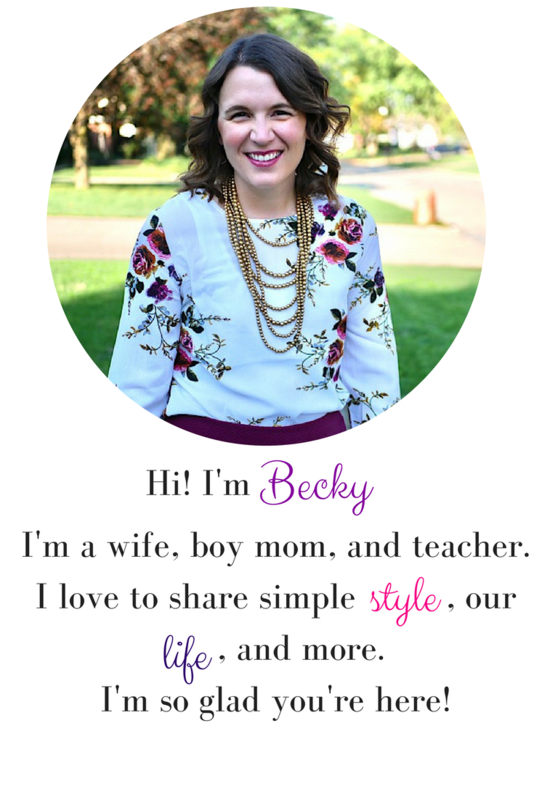 It looks like it's marked down and is final sale, so if you love it, snag it while you can! It's pretty roomy, so I went for a size down from my normal size. With the open back details, it's pretty forgiving. I pulled colors from the top to finish off the rest of the outfit. 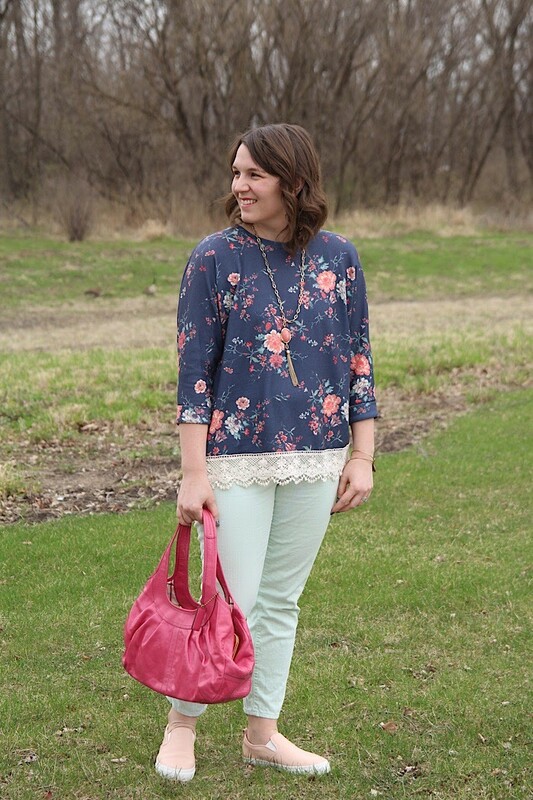 You can find mint green, blush, and a darker pink all in the floral of the top. This past weekend I took my LipSense to a fundraiser for the Leukemia and Lymphoma association that was held at a local winery. They had lots of vendors and great food, but the hit of the night was a purse sale. People donated lots of loved and new purses and they were marked at prices from $5 - $20. 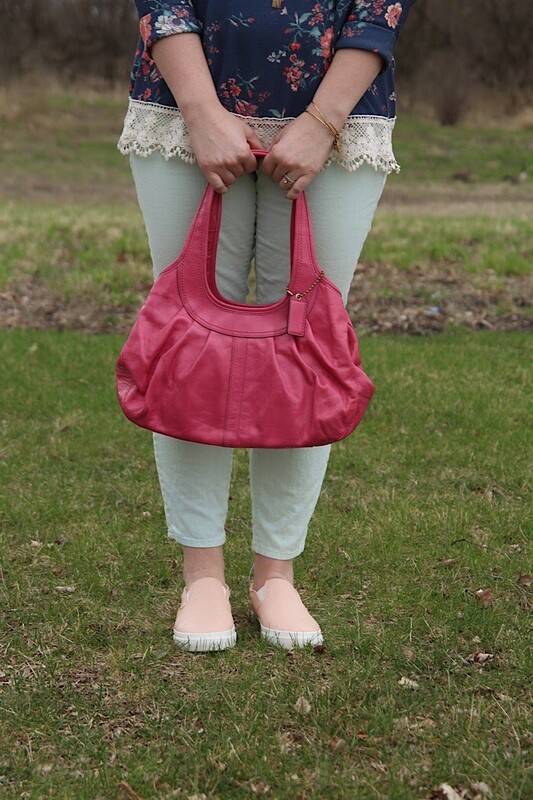 I picked up this pink Coach and just knew it would be great for spring! It's well loved on the inside but still looks new on the outside. Getting a purse and donating to a cause close to my heart is a win-win in my book. 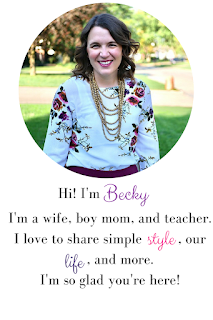 Linking up with The Blended Blog, The Pleated Poppy, Jersey Girl Texan Heart, Thursday Fashion Files, and Pumps and Pushups, Elegance and Mommyhood.